The League of Legends is a game for Windows PC and Mac Computers. The game lets players play as a summoner and control champions such as Ezreal the Prodigal Explorer. This character is one of the most popular champions in League of Legends, considering he is at the top 3. Ezreal is an adventurer who loves to explore and raid long-lost catacombs. He is also adept at overcoming impossible odds, as well as, dealing with ancient curses. He is adept at using magical arts, which aids him greatly in his quests. His weapon is a mystical gauntlet called the Shuriman. It allows him to shoot devastating arcane blasts at his enemies or to anyone who stands in his way. There are now many skins or costumes available for Ezreal after released in 2010. 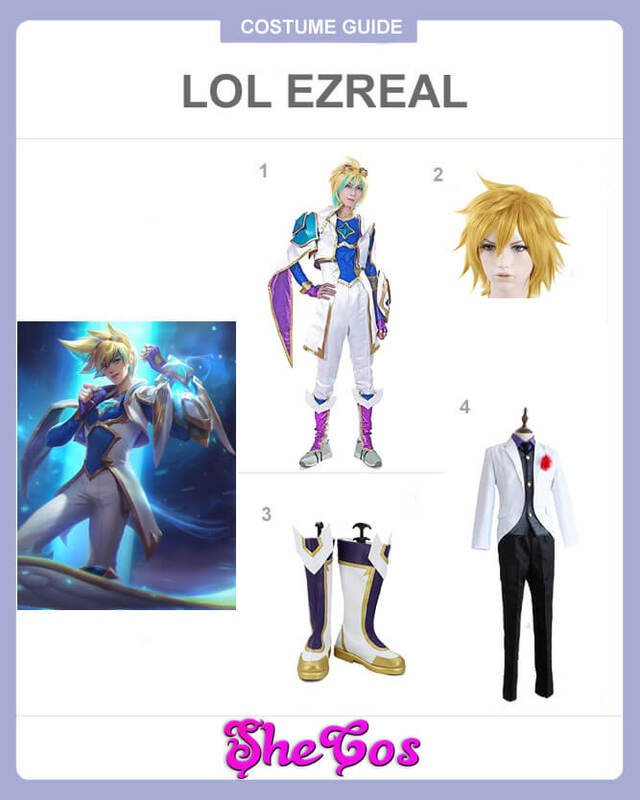 Here it will be an Ezreal cosplay guide. 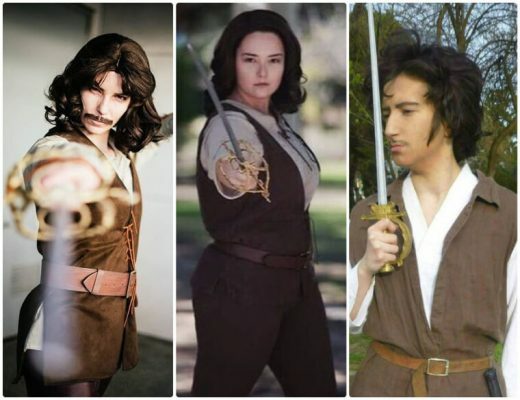 As an adventurer that has already gone to different places and faced many obstacles, it is not uncommon for Ezreal to have a variety of outfits. And this is shown in the many different costumes League of Legends has for this character. 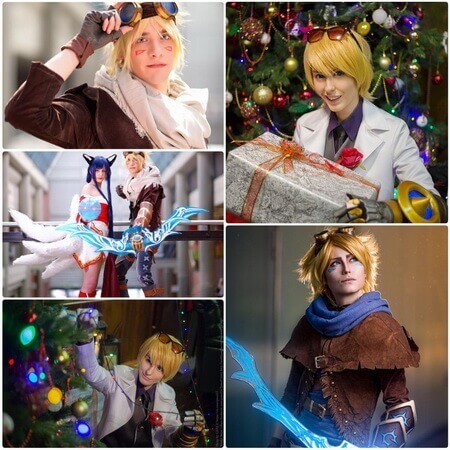 For this Ezreal cosplay set, there are two of the champions costume. The first one is the Star Guardian costume, which consists of a blue fitted long-sleeves top with a diamond design on the chest. It also comes with a white coat with blue shoulder guard on the right shoulder, a white gauntlet at the left arm, and white pants. It consists of the googles, the Star Guardian boots, a short blonde wig and purple gloves. The other costume is the Debonair costume, which consists of a dark blue long-sleeves polo and black pants. It also comes with a white coat that has a red corsage pinned to it. Ezreal is a dashing and good-looking champion who is gifted in using the magical arts and wields the powerful mystic gauntlet called Shuriman. He is also characterized as someone who is witty, being able to escape a lot of tricky situation. His gauntlet, though is the primary reason for him being able to survive a lot of the dire circumstances that he was in. His combination of skills and abilities is probably what made him one of the famous heroes in League of Legends. It probably helps as well that this character’s appearance is pleasing to look at. 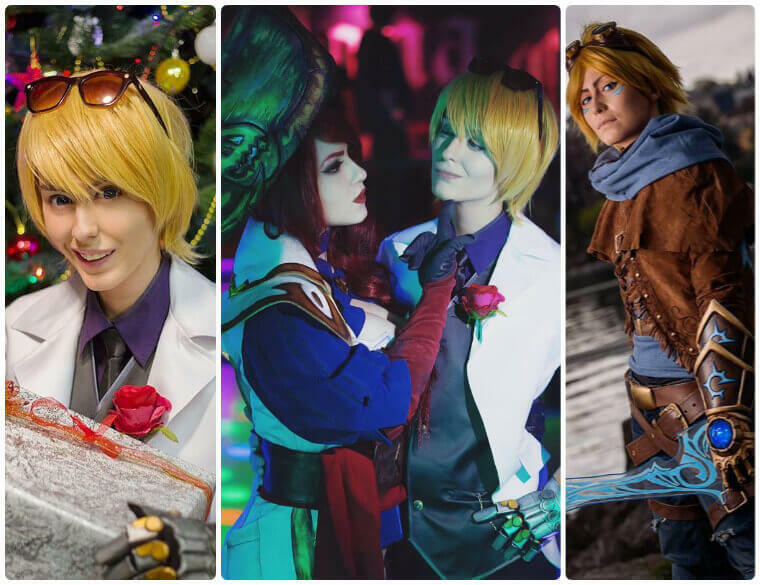 If you take a look at the Ezreal cosplay photos, you can see that this champion has a natural appeal and charm to him, regardless of the costume that you choose to wear. And with his mighty weapon attached to his arm, you know that his charm and wits are not the reason why he gets away from trouble a lot.